We work hard in the gym burning fat and building muscle. But sometimes we need an extra helping hand to keep up our lean gains. In times of intense training or work out, our bodies can tap into our muscle for fuel. When we’re trying to build muscle, the last thing we want our body to do is breakdown muscle. So here at myvitamins we made it simple to get the support you need. We’ve developed a special bundle to maximise your lean gains. 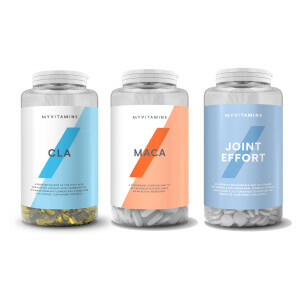 The myvitamins Gym C-L-A-yer Bundle is the perfect supplement for workouts. 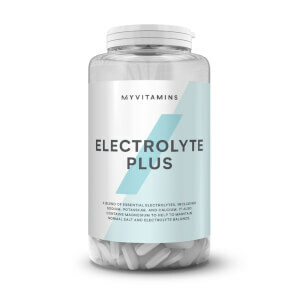 Our special formulations provide your body with essential vitamins. 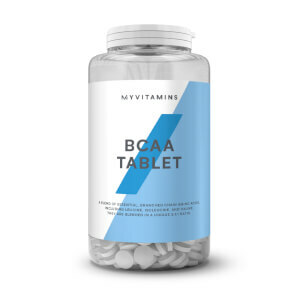 BCAA is the building block of muscle, making up to 35% of muscle mass. Our BCAA supplements help you to resist protein breakdown during workouts. They work harmoniously with CLA to help you burn fat and gain muscle during training. Integrated into your daily supplement regime, The Gym C-L-A-yer bundle is the perfect nutritional aid to help you build lean muscle. Take four tablets of BCCA twice daily with two CLA tablets twice daily.